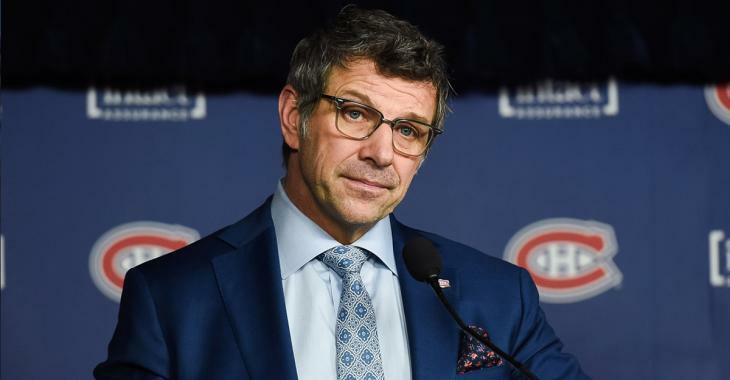 A rash of moves from GM Marc Bergevin means someone had to pay the price. In case you missed it, the Montreal Canadiens acquired forward Nate Thompson from the Los Angeles Kings earlier today and, combined with their acquisition of Dale Weise from the Philadelphia Flyers this past weekend, the team is now officially over their roster limit. According to a report from online salary cap website CapFriendly, the Habs will place veteran forward Michael Chaput on waivers at noon Eastern Time tomorrow. Officially Chaput has been placed on the team’s “Non-Roster” list, clearing space for both Thompson and Weise to join the team today. But because GM Marc Bergevin missed today’s deadline to submit Chaput onto the waiver wire, he’ll be designated as a “Non-Roster Player” until tomorrow when he can officially be placed on waivers. In 32 games with the Habs this season, the 26 year old Chaput has zero goals and five assists. Over 167 career games split between the Habs, Vancouver Canucks and Columbus Blue Jackets, Chaput has six goals and 22 points.